New Lanark is an exceptional example of a purpose-built 18th century mill village, set in a picturesque Scottish landscape near the Falls of Clyde, where in the early years of the 19th century, the Utopian idealist Robert Owen (1771-1858) inspired a model industrial community based on textile production. It was there that Owen first applied his form of benevolent paternalism in industry, building on the altruistic actions of his father-in-law, David Dale. It was there, too, that he formulated his Utopian vision of a society without crime, poverty, and misery. New Lanark prospered under his enlightened management. The village was founded in 1785, and the cotton mills, powered by water-wheels, were operational from 1786 to 1968. At the turn of the 19th century the mill buildings formed one of the largest industrial groups in the world. The creation of the model industrial settlement at New Lanark, in which planning and architecture were integrated with a humane concern on the part of the employers for the well-being of the workers, is a milestone in social and industrial history. The moral, social and environmental values which underpinned Robert Owen's work at New Lanark provided the basis for seminal material and intangible developments that have had lasting influences on society over the past two hundred years. New Lanark is a unique reminder that the creation of wealth does not automatically imply the degradation of its producers. The village offered a cultural response to the challenges presented by industrial society and was the test-bed for ideas that sought to improve the human condition around the world. The nature and layout of New Lanark inspired other benevolent industrialists to follow his example, and this movement laid the foundations for the work of Ebenezer Howard (1850-1928) in creating the concept of the Garden City. The social and economic systems that Owen developed were considered radical in his own time but are now widely accepted in modern society. The imposing mill buildings, the spacious and well designed workers' housing, and the dignified educational institute and school still survive to testify to Owen's humanism. Criterion (ii): When Richard Arkwright’s new factory system for textile production was brought to New Lanark the need to provide housing and other facilities for the workers and managers was recognised. It was there that David Dale and Robert Owen created a model for industrial communities that was to spread across the world in the 19th and 20th centuries. Criterion (iv): New Lanark saw the construction not only of well designed and equipped workers’ housing but also public buildings designed to improve their spiritual as well as their physical needs. Criterion (vi): The name of New Lanark is synonymous with that of Robert Owen and his social philosophy in matters such as progressive education, factory reform, humane working practices, international cooperation, and garden cities, which was to have a profound influence on social developments throughout the 19th century and beyond. The property encompasses all of the elements necessary to clearly express its Outstanding Universal Value and ensure complete representation of the property’s significance. The appearance of the buildings of the village is now close to that of the early nineteenth century, during Owen’s management, based on the physical evidence, archaeology, graphic and written archive material available. In restoring the village to its historic state, some later 20th century structures have been removed to focus on those elements that contributed to the property’s Outstanding Universal Value. The level of authenticity at New Lanark is high. The process of conservation and rehabilitation has now been in progress for almost half a century, and major projects continue to the present day. The village has seen little change from its heyday of cotton production in the early nineteenth century. Where elements are missing or have been replaced, the property is clearly interpreted to reflect this. Where rebuilding or reconstruction have been necessary, this has been carried out to the best conservation standards, based on full historic records. Repair and restoration has been undertaken using appropriate traditional materials and workmanship, following original designs wherever possible, and always respecting existing historic fabric. The original weir, lade and waterways which provided water-power to the mills from the 1780s are still in use today. World Heritage properties in Scotland are protected through the following legislation. The Town and Country Planning (Scotland) Act 1997 and The Planning etc. (Scotland) Act 2006 provide a framework for local and regional planning policy and act as the principal primary legislation guiding planning and development in Scotland. Additionally, individual buildings, monuments and areas of special archaeological or historic interest are designated and protected under The Planning (Listed Building and Conservation Areas) (Scotland) Act 1997 and the 1979 Ancient Monuments and Archaeological Areas Act. The Scottish Historic Environment Policy (SHEP) is the primary policy guidance on the protection and management of the historic environment in Scotland. Scottish Planning Policy (SPP) sits alongside the SHEP and is the Government’s national planning policy on the historic environment. 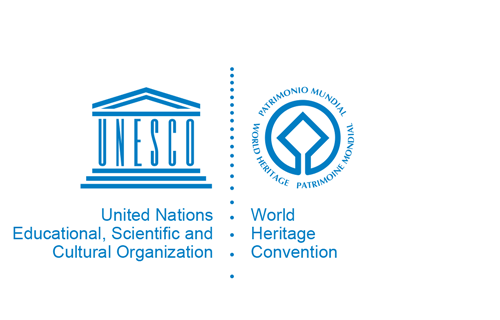 It provides for the protection of World Heritage properties by considering the impact of development on the Outstanding Universal Value, authenticity and integrity. The management of the World Heritage property New Lanark is the responsibility of its three main partners: South Lanarkshire Council, Historic Scotland and the New Lanark Trust. The New Lanark Management Plan is endorsed and strategically overseen by the management partners, who also assume responsibility for its implementation. The sustainable management of tourism at New Lanark is addressed in the Management Plan. The Partnership Group, through the implementation of the Management Plan, ensures that present and future tourism within the property is developed in an environmentally and economically sustainable way for the benefit of the local community.